This year I got to try an experiment: take a graduate class I had already been running on technology entrepreneurship and focus it entirely on FinTech. There were a few reasons for this:my University had committed to supporting FinTech and data-driven entrepreneurship as part of the Edinburgh city deal and also that my attempts to build a technology commercialisation class (the idea which was completely stolen from Michael Camp at OSU) in which students learned how to commercialise new technologies by using university-owned IP never really gained traction. Whenever I teach entrepreneurship, I want it to be experiential. I’ve drunk the Babson kool-aid on experiential education. Entrepreneurship theory is fun to study, but the only real way to learn entrepreneurship is to do it. The classroom is an imperfect way to do this, but it gives students a nice, protected place to play around with ideas and learn some key ideas like flexibility, resiliency, and opportunity recognition. Why FinTech? 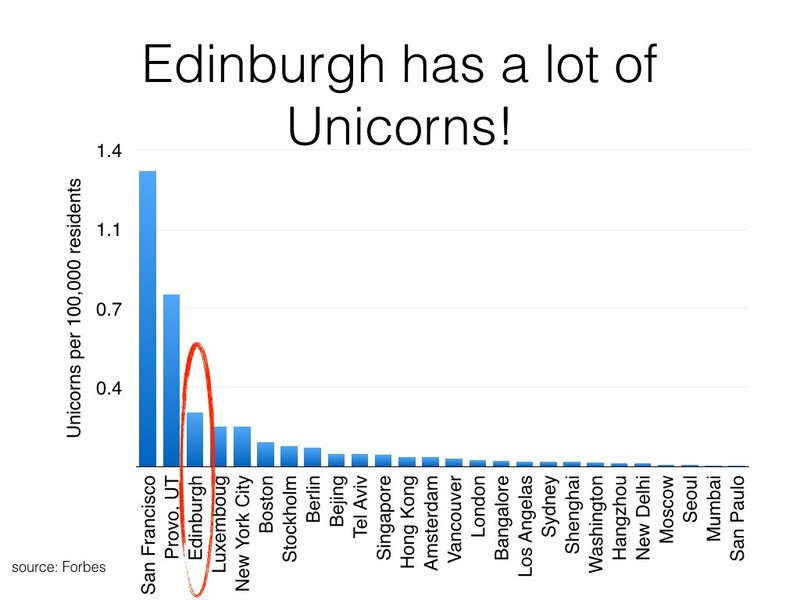 Edinburgh has one of the strongest foundations for FinTech in Europe. It is the second largest finance centre in the UK as well as having one of Europe’s most successful entrepreneurial ecosystems. Edinburgh is big enough to have everything an entrepreneur needs, but small enough that an entrepreneur can meet everyone she needs to in order to get what she needs. But so far, the Fin hasn’t met the Tech in Edinburgh. 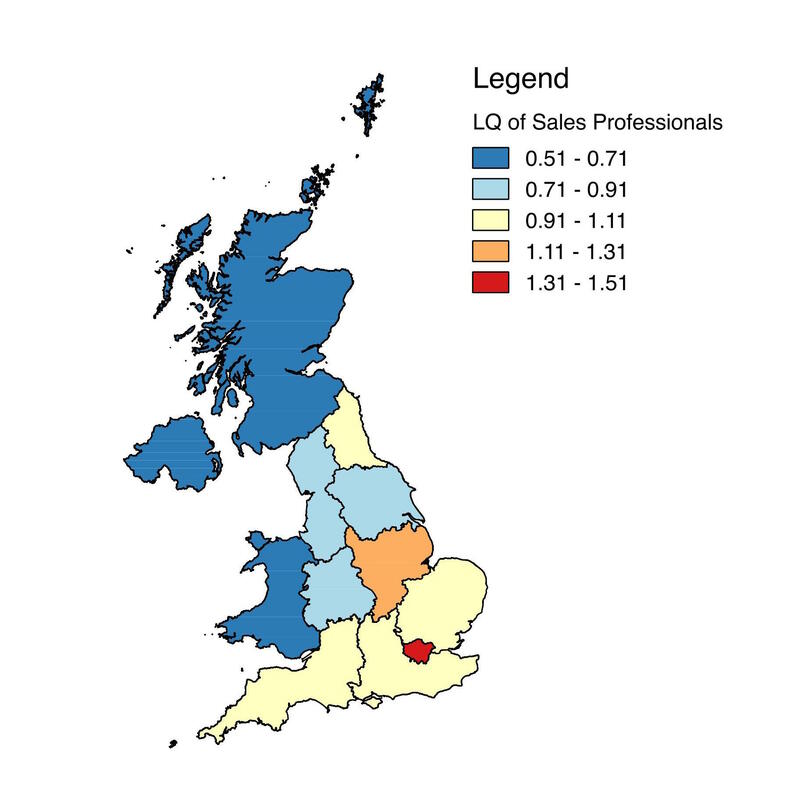 Awhile ago, just for giggles, a PhD and I looked at the backgrounds of the founder of FinTech startups in Edinburgh, Manchester, and a random selection of those in London. We found that Edinburgh FinTech startups had the lowest rate of founders with a finance background. This isn’t a bad thing, but it means that FinTech startups in Edinburgh aren’t able to tap into the great pools of knowledge and social capital that have built up within the finance sector. And this is really important for entrepreneurship: who is better set up to realise that there’s a problem they can solve in the finance sector than someone who’s working within it. It should be experiential: minimise lectures, maximise group work. It should be interdisciplinary: Fin and Tech need to meet. The class needs to be welcoming to students from our Entrepreneurship & Innovation program, the regular management degree, along with students from computer science and anyone else who felt like they’d like the class. It should connect students with the local finance community: Students should be able to draw on Edinburgh’s finance community to find and validate opportunities. That last point was the most important. In most entrepreneurship classes, the motto is: “Find a problem you have and solve it, chances are other people have that problem and it might be a real opportunity.” This is a great idea, but it my experience it ends up with class projects focused on solving students biggest problem: Where to find the cheapest drinks on Friday. To come up with a good idea, entrepreneurs need a deep insight into the industry they’re looking to sell in to. But less than 10% of the students in my class (I asked) have any experience in finance. How do we give students a journey into the finance world that was deep enough for them to come up with a unique insight into a problem while at the same time doing it quickly enough that that have time to validate, test, and develop the ideas into full-fledged business models? The answer was a two-pronged approach. First, I brought in speakers from Edinburgh’s finance community. I gave them specific instructions (sometimes followed, sometimes not) to talk about their jobs and daily activities rather than their thoughts on FinTech. What I wanted them to do was talk about what parts of their day that were annoying or wastes of their time. I wanted them to talk about the competitive threats that kept them up at night. Second, more than anything else I wanted students to learn how to ask questions and listen. This is the most important thing: rather than just doing some research on an industry and coming up with a product, good entrepreneurs need to be able to listen to potential customers, figure out what is valuable for them, and then find a way to create that value. Your first idea about something is often wrong, but talking to people helps you refine the idea and make sure it’s a real problem. The first part was accomplished with the help of both the Business School’s partnership team and the helpfulness of Edinburgh’s tight-knit finance community. We were able to get guest speakers ranging from executive vice presidents at global asset managers, investment research analysts, fund managers at boutique firms, and FinTech regulators at the FCA. As student groups focused in on a particular market or solutions, I was able to draw on the School’s connections to link them with industry experts and potential clients to interview. Students talked with venture capitalists, financial analysts, actuaries, and Turkish mobile banking users. I think this is where the class really worked. All the groups ended up shifting their ideas throughout the class, some radically while some less so. But all of them were able to show how interactions with customers or analysis of secondary data showed them that their initial ideas has some good points but could be better. This is also the most transferable skill. FinTech is just using technology to solve finance problems. That’s a big market, but still a tiny slice of the world. Learning how to listen to people is one of the most important entrepreneurial skills and it one of the best ways to learn it is through doing it. Striking for 4 weeks during the term really messes up a lot of plans, but at least there were a lot of protest doggies. Teams with mixed backgrounds and skills are great, but can lead to conflict. I had a few groups where there was some tension between the business school people and the informatics people. I’m not sure there’s a good solution to this besides trying to find time to present some material on effective teamwork. Edinburgh’s finance community really wants to help. I got amazing buy-in from finance professionals at all levels to come into the class as guest speakers or who were willing to take time out of their day to talk with groups. The best example of this was the folks at the venture capital firm Par Equity inviting a group to observe pitches so they could refine their investment decision management product. The class worked a lot better than I thought. Even with a major strike in the middle, the students put together some amazing venture ideas. I have hope that one if not two teams will seriously consider taking their ideas forward beyond the class. 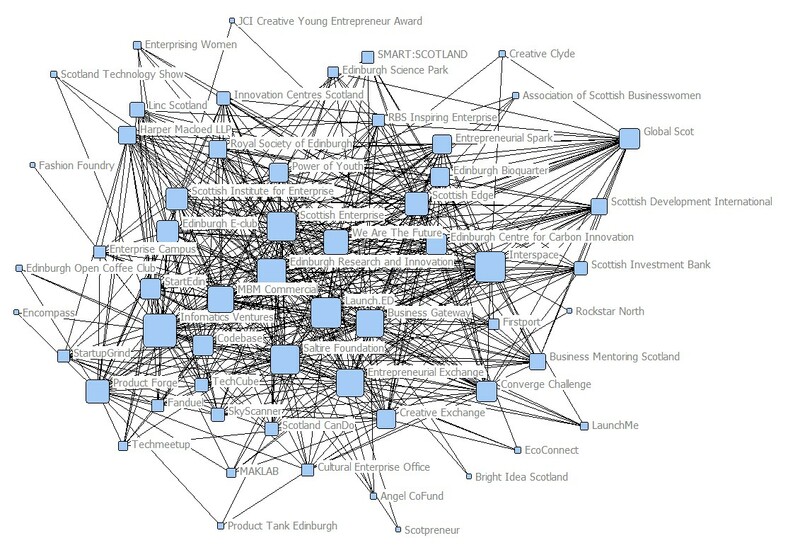 The class works because Edinburgh has such a strong entrepreneurial ecosystem and finance community. My hope for the class is that it helps build stronger connections between the city’s finance and tech communities beyond the classroom. The class will evolve as it continues, but I think that this experiential setup based around customer interactions will continue to be a great way to teach entrepreneurship to a very diverse group of students. I'm happy to announce that my latest paper with Richard Harrison on entrepreneurial ecosystems will be published in the Strategic Entrepreneurship Journal's special issue on entrepreneurial ecosystems. You can read a pre-print version of the paper here. Below is the abstract, but after that I'll tell you about the really cool stuff in the paper. The events of the past 9 days make it clear that there is a shift towards authoritarianism and fascism in the United States marked by attacks on the humanity of immigrants and religious minorities. It joins several other countries in this regard. It is also clear that the main people behind these racist, facist policies have business degrees or business education. Donald Trump graduated from Wharton Business School in 1968. His principal advisor has a Harvard MBA. His UN ambassador has an accounting degree. The rise of political leaders with business degrees, rather than law or political science is a rising but not new phenomenon. George W. Bush was famously the first president with an MBA (from Yale) and his first campaign highlighted his MBA training as a key source of his skill set as a manager. An older analysis shows that a degree in business administration or economics is one of the most common educational backgrounds for state leaders. Successful business people are increasingly using their business or entrepreneurial success as a platform for their political careers. Trump is the most obvious example of this but Darell Issa is another example. This trend will only grow. Given this, Business Schools need to take on the responsibility and duty of training the next generation of political leaders as well as business leaders. This responsibility includes the need to deliver anti-facist and anti-racist training. We as management scholars need to begin a discussion of how we can take on this new responsibility in our teaching and research. What does anti-facist business pedagogy look like? It goes beyond simply offering a class on business ethics (even if it is mandatory). It has to be integrated throughout the curriculum. It has to accomplish several goals. Second, it has to teach them that they are capable of being facist or racist. One of the biggest failure of our education system is that it presents racism as an act of determined hate rather than a series of many, simple, thoughtless actions. Students should learn both about unconscious bias in hiring and leadership, but should also be subtly exposed to how they engage in it. Maybe we can create a business simulation where students are given the option to adopt illegal policies (such as limiting worker safety to reduce labor costs or asked to review the resumes of different workers when hiring for a student startup). The key is help them realise that they are susceptible to these biases and they will have to police themselves. Third, it must have them engage with humanity. Several entrepreneurial and social design classes have had students work with refugees or undocumented immigrants to better understand their situation and design solutions to help them. I want to begin a dialog about what an anti-facist business curriculum looks like. Critical scholars from fields like sociology, gender studies, history, and political science have put together several draft syllabuses and reading lists to better understand the post-trump world. Management scholars must do the same thing. Our challenge is that it is difficult for us to simply teach against fascism: students come to our programs and classrooms expecting to develop a very specific skill set and will likely resist too much overt anti-fascist training. Rather, we have to integrate these life lessons into our overall curriculums. If you have any ideas to share, please leave them below in the comments or e-mail them to me at ben.spigel@ed.ac.uk. My ultimate goal is to help arrange a late breaking PDW or informal gathering at AOM in August to discuss and develop these ideas further. I'll try a new experiment, a short note about an interesting paper I've read in the past week or so. Hopefully in an entertaining way, but I can't promise anything: it's really hard to punch up regression tables or structural equation models. I can't even promise it'll stay an article of the week, I'll be lucky if I can keep to an article a fortnight. Paul Brewer and Sunil Venaik's new paper in Organizational Studies provides a real valuable service to entrepreneurship and organizational studies people who want to look at culture. I think you'd be hard pressed to find anyone who doesn't at least agree that culture has a huge impact on how organizations operate. But the chief stumbling block in studying it is quantification. How power oriented is the culture? Can we measure it to the second decimal place? Geert Hofstede came up with a great solution to this problem. Throughout the 1970s, he surveyed thousands, eventually over 100,000, IBM workers about psychological and leadership issues. Through the magic of component analysis and (one of my favourite mathematical terms) verimax rotations, he came up with 5 dominant cultural factors and generated scores of them for over seventy countries. 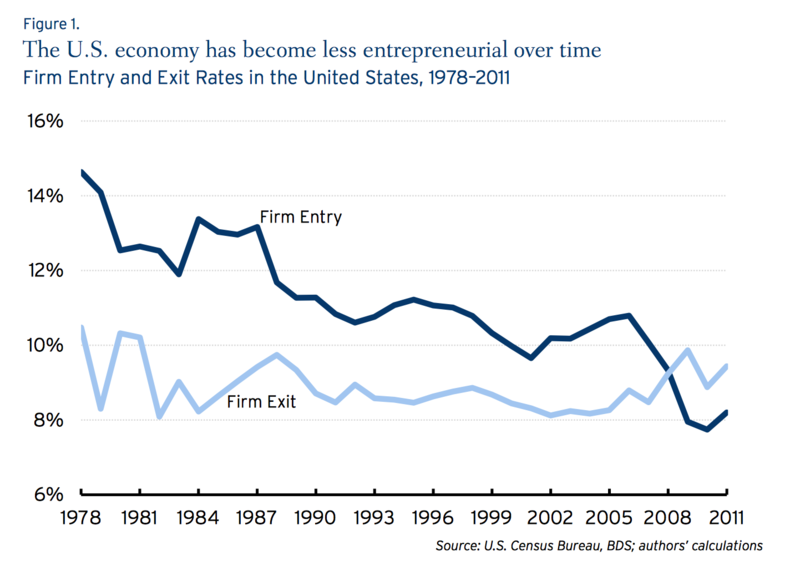 Researchers love using this as a basis for work to explain national differences in things such as startup rates, innovation, and economic development. It's a really neat way of connecting something as nebulous of culture with something as important as economic growth through rigorous statistical methods. So now, Hofstede's work has been criticized from a number of sources — the basic theoretical underpinnings, the methodology, the results, but one aspect has been really overlooked but is present in almost everything that uses this work (and other similar measurements of cultural attitudes). That is the ecological fallacy. This is when you use statistical evidence about an entire population to make judgements about an individual. The paper has a great table showing the problems this causes. In essence, the authors argue that there are huge problems with taking the 'average' cultural values of an entire country (a country which might have a very heterogeneous population made up of natives and immigrants) and then saying that everyone in that society has cultural values exactly identical to this average. 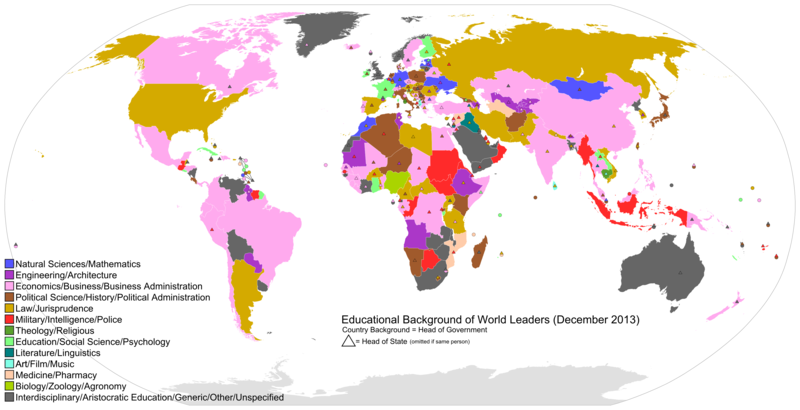 This hides all the variation within a country's cultural outlooks, leaving little room for nuance or variation. At the end of the day, this kind of outlook contributes to what Duncan (1980) called the reification of culture. This was a criticism of how cultural geographers viewed culture as a real, objective 'thing' that could be examined, measured, and understood. But it's not: it's a weird thing that is maybe part of our basic neurochemistry and is also maybe a complete social construct that is produced and reproduced by the powerful echelons of society. But when we reduce it to a number for a nation, we forget all this complexity in return for empirical parsimony. Brewer and Venaik's paper is a good and timely reminder that it's very hard to simply very complex things.